Frank Sommerville - Weycer, Kaplan, Pulaski & Zuber, P.C. Attorney - Weycer, Kaplan, Pulaski & Zuber, P.C. Active volunteer with numerous organizations ranging from United Way - Houston, Center for Nonprofit Management (Dallas) and his local church. Frank Sommerville is a shareholder in the law firm of Weycer, Kaplan, Pulaski & Zuber, P.C. in Houston and Dallas, Texas. Mr. Sommerville handles and assists in a broad range of legal cases which encompasses employment law and ERISA issues as well as nonprofit and religious organizations in disputes with former employees regarding benefit plans, retirement plans, employee discipline and termination. Mr. Sommerville is Board Certified in Tax Law by the Texas Board of Legal Specialization and holds a license as a Certified Public Accountant. He is a member of the American Bar Association. 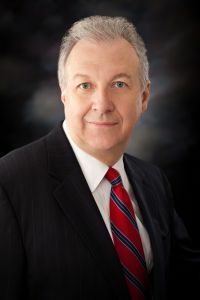 He is a frequent lecturer on nonprofit issues at the University of Texas Law School's Annual Nonprofit Organizations Conferences and the State Bar of Texas Governance of Nonprofit Organizations Courses, including acting as Chair for 2011. He regularly assists churches in preventing litigation, including those that originate with accusations of sexual misconduct. Mr. Sommerville was a member of the National Board of Directors for Christian Management Association ("CMA") from 1993 to 1999. He was inducted into the National Association for Church Business Administration Hall of Fame in 2003. In 2005, 2006 and 2007, The Church Report, a magazine serving larger churches, named Mr. Sommerville as one of the 50 most influential Christians in America. In 2011, the Evangelical Council for Financial Accountability (ECFA) named Mr. Sommerville to its Panel of Legal Experts to assist Senator Grassley and ECFA’s Commission for Accountability and Policy for Religious Organizations. Admitted to Northern, Eastern, Western and Southern U.S. District Courts of Texas; U.S. Court of Appeals for the 5th Circuit, 8th Circuit and 9th Circuit; and United States Tax Court.